November 6, 2018 – Last month, UBC Alma Mater Society President Marium Hamid delivered an apology to Indigenous peoples during a meeting with Indigenous students at the First Nations Longhouse. As part of the apology, AMS concedes it “should have long ago begun to meaningfully address relations with Indigenous peoples.” It further states “this statement of apology is intended to be an inflection point from which the AMS commits to genuine reconciliation, respect for Indigenous rights, and recognition of our position as guests on [Musqueam] land. The apology reveals that the ongoing use of the Thunderbird image and name, which was formally permitted in 1948 by Chief William Scow of the Kwikwasut’inuxw Haxwa’mis First Nation, has not been revisited since. Thus, it admits that it had “assumed that the authorization was granted in perpetuity.” Instead, it says, “we should have consulted with the Kwikwasut’inuxw Haxwa’mis people about continued use of the thunderbird.” As a result, the student society says it will reach out to them to discuss its further use. He added: “AMS and UBC are at a turning point in history. We are setting the stage so that these types of actions are worked on and never forgotten. 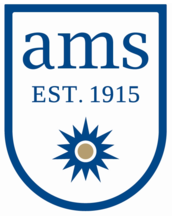 AMS has since embarked on forming an Indigenous advisory committee and according to President Hamid, as reported by the Ubyssey, will look to have “every single portfolio… support Indigenous initiatives.” The society will also establish a space for Indigenous students in the Nest, the university’s student union building, and create a dedicated staff position.